Dillon Tate does not have any MLB stats for the season. Draft: 2015, Texas Rangers, 1st rd. Was drafted fourth overall by the Texas Rangers in the 2015 First-Year Player Draft, the first pitcher selected in the draft…Named the No. 3 prospect (and top pitcher) in the 2015 draft by Baseball America…Graduated from Claremont (CA) HS. A non-roster invitee to Yankees Spring Training...Went 5-2 with a 3.38 ERA (31 ER/82.2 IP) and 75 strikeouts in 15 starts for Double-A Trenton...Struck out a season-high 10 batters on 6/15 vs. Erie, working 6.1 scoreless innings...Named a Eastern League Mid-Season All-Star (Trenton)...Acquired by the Orioles from the New York Yankees along with LHP Josh Rogers and RHP Cody Carroll in exchange for LHP Zach Britton on 7/24...Made his Orioles organization debut on 7/29 with Double-A Bowie...Worked at least 5.0 innings in 20 of his 22 starts...Placed on the disabled list on 7/12 (quad strain); activated from the DL on 7/24. Made 13 starts between Single-A Tampa and Double-A Trenton and was 7-2 with a 2.81 ERA (83.1IP, 71H, 28R/26ER, 24BB, 63K, 7HR)…opened the season at Tampa, going 6-0 with a 2.62 ERA (58.1IP, 48H, 19R/17ER, 15BB,46K, 4HR) in nine starts…on 7/2 at Clearwater, recorded a career-high 11K over 7.0 shutout innings (6H, 0BB)…was promoted on 8/8to Trenton, where he had a 1-2 record and 3.24 ERA (25.0IP, 23H, 9ER, 9BB, 17K, 3HR) in four starts. Combined with Single-A Hickory and Single-A Charleston to go 4-3 with a 4.70 ERA (82.1IP, 99H, 49R/43ER, 33BB, 70K) in 24 games (16 starts)…began the season with Hickory, going 3-3 with a 5.12 ERA (65.0IP, 78H, 39R/37ER, 27BB, 55K) in 17 games (16 starts)…was acquired by the Yankees from Texas on 8/1…made seven relief appearances for Charleston, going 1-0 with a 3.12 ERA (17.1IP, 21H, 10R/6ER, 6BB, 15K)…following the season, did not record a decision and posted a 3.86 ERA (9.1IP, 9H, 4ER, 1BB, 11K) in six games for Scottsdale in the Arizona Fall League…was an AFL Fall Stars Game selection. In his professional debut, did not record a decision andposted a 1.00 ERA (9.0IP, 3H, 1ER, 3BB, 8K) in six combined starts with short-season Single-A Spokane and Single-A Hickory…started the season with Spokane, tossing 2.0 scoreless innings over two starts (0H, 3BB, 3K)…was promoted to Hickory on 8/14 and posted a 1.29 ERA in four starts (7.0IP, 3H, 1ER, 0BB, 5K)…following the season, was named the No. 5 prospect in the Rangers organization by Baseball America. 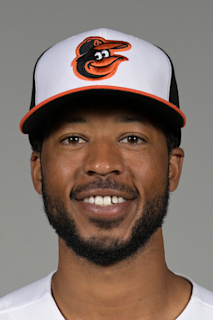 March 10, 2019 Baltimore Orioles optioned RHP Dillon Tate to Bowie Baysox. November 20, 2018 Baltimore Orioles selected the contract of RHP Dillon Tate from Bowie Baysox. July 24, 2018 RHP Dillon Tate assigned to Bowie Baysox. July 24, 2018 Trenton Thunder activated RHP Dillon Tate from the 7-day disabled list. July 15, 2018 Trenton Thunder placed RHP Dillon Tate on the 7-day disabled list retroactive to July 12, 2018. Quad injury. February 2, 2018 New York Yankees invited non-roster RHP Dillon Tate to spring training. August 8, 2017 RHP Dillon Tate assigned to Trenton Thunder from Tampa Yankees. June 20, 2017 RHP Dillon Tate assigned to Tampa Yankees from Charleston RiverDogs. September 9, 2016 RHP Dillon Tate assigned to Scottsdale Scorpions. August 3, 2016 RHP Dillon Tate assigned to Charleston RiverDogs. August 1, 2016 New York Yankees traded DH Carlos Beltran and cash to Texas Rangers for RHP Nick Green, RHP Erik Swanson and RHP Dillon Tate. May 4, 2016 Hickory Crawdads activated RHP Dillon Tate from the 7-day disabled list. April 17, 2016 Hickory Crawdads placed RHP Dillon Tate on the 7-day disabled list. August 14, 2015 RHP Dillon Tate assigned to Hickory Crawdads from Spokane Indians. June 14, 2015 RHP Dillon Tate assigned to Spokane Indians. June 12, 2015 Texas Rangers signed RHP Dillon Tate.